If you’re in the market for a POS system, you’re faced with the decision between a cloud-based solution and a traditional system. Buying a POS system is a long-term investment and the industry is undergoing some notable changes. It’s important to understand the shelldifference between cloud-based and traditional POS systems to determine which one makes the most sense for your business. Traditional POS: Also known as “on-premise” or “legacy”, traditional POS systems store data on local servers and run on a closed internal network. An example of on-premise software would be family photos saved on the desktop of your home computer. Cloud-Based POS: Also referred to as Software-as-a-Service (SaaS) or web-based, cloud-based POS systems are Web-hosted solutions that store data on remote servers and make information accessible online. The cloud is everywhere – you access the cloud every time you log in to Facebook, Gmail, or your online banking application. ** Unlike other cloud-based POS systems, Toast supports a fully functional offline mode. 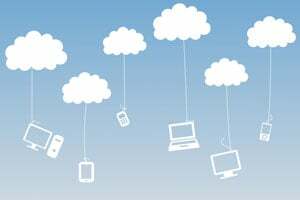 So why is foodservice moving toward the cloud? Gartner predicts that the SaaS market will grow at a steady annual rate of 19.5% and be a $32.8 billion industry by 2016. This agile SaaS system provides an especially exciting opportunity for restaurants, cafes, and nightclubs, where cost and efficiency are essential. According to a 2014 industry report by Software Advice, 61% of restaurants are now looking only for fully integrated POS solutions that manage everything from online ordering to detailed financial reporting. A full-featured cloud-based POS system has the potential to support components of a business that would normally be served by four or five vendors. Advanced SaaS systems also feature CRM for restaurants solutions that allow restaurateurs to use historical customer data to influence loyalty programs, online ordering, and email marketing. SaaS POS systems store data in the cloud, which means you can access your data and make changes to your establishment from anywhere with internet access. Unlike legacy systems, the manager doesn’t have to be on site to make changes to the menu, check employee clock-ins, or the status of food supplies. This immediate online data storage also means managers can view reporting data in real-time. Many legacy POS systems require a maintenance fee for software updates because they require additional labor and time. These legacy systems need to be updated manually, so the POS software is only upgraded once per year at best. SaaS POS systems are hosted centrally, so the provider implements updates remotely with little disruption to the end user (that’s you!). That means that bug fixes and new updates happen much more frequently with cloud-based software than with legacy systems. Web-based POS systems tend to be significantly less expensive and require fewer upfront costs than their legacy counterparts. Costs are usually lower because installation is less complex, maintenance is performed remotely, and there are more affordable hardware options available. Back office servers to store legacy data can run as high as $50,000! That cost is completely eliminated when data is stored in the cloud. Additionally, SaaS POS systems are subscription-based “pay as you go” with no long-term contracts. Mobile technology has revolutionized worldwide commerce and the foodservice industry is no exception. Mobile POS systems open up possibilities for restaurants and nightclubs to modernize their service. Unlike legacy solutions, cloud-based POS systems can support mobile devices that send orders straight to the kitchen or the bar while also storing customer information in the cloud. With this mobile tableside ordering, some restaurants have seen turn time on tables improve by 15% because servers spend more time with guests and less time sending and modifying orders to the kitchen. The needs of every foodservice establishment are different. Your point of sale system should match your requirements and values. Even though the industry is trending strongly toward the more agile SaaS model, it won’t necessarily fit every restaurant, bar, club or café. But, it’s exciting to see what folks are doing with the new freedom of cloud-based POS technology. Click to learn more about the specific benefits of a cloud-based POS for restaurants.